I don't have the modules folder. You'll find attached the screenshot. Hello pan, do you have any news for me on my issue? Thanks. 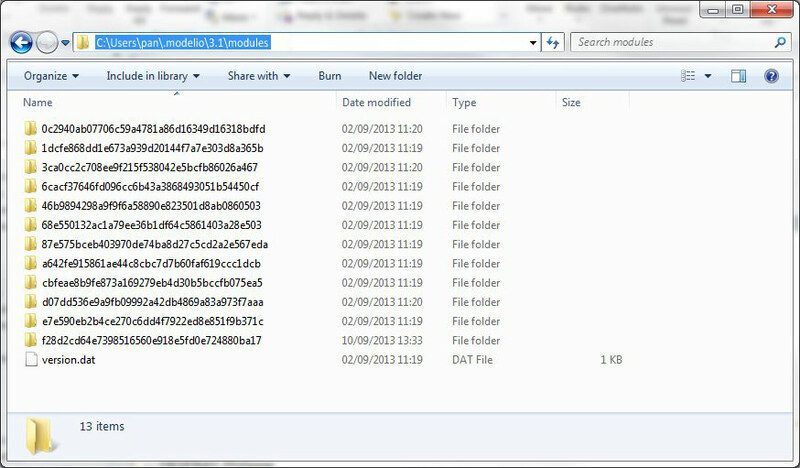 You also could try to use the latest Modelio release (3.1.1) which is available on the Download page. Modelio directory does not exist under my user home directory.How can I get this directory located there?